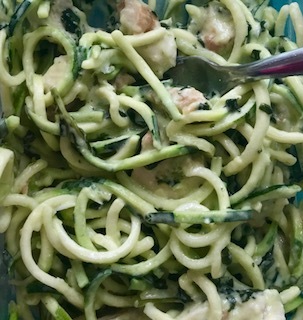 So this was inspired by my visit to the Marilyn Denis show and watching the Chef for Cafe Balou (Chef Balou) do a green cream sauce for spring… In his sauce he didn’t want it to reduce to make a lighter one, I like a good thick cream sauce and I’m eating healthy clean and keto for the time being (summer is acommin’!) 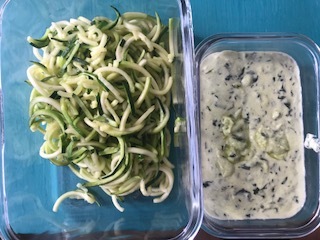 so here is an amazing invention of mine – Keto Creamy Pesto and Zoodles (zucchini noodles). 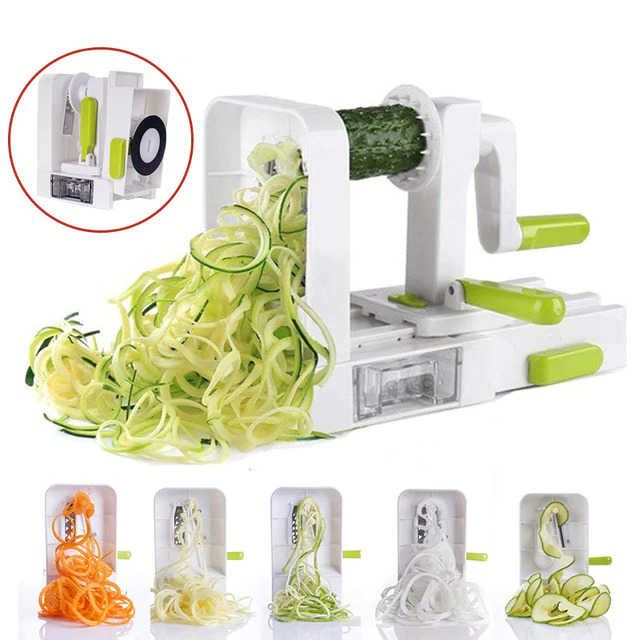 This is the type I have – great but needs storage- and big to haul out … I may invest in the one below too – I eat a lot of zoodles lately! Ok, Enough about spiralizers and on to the recipe! Ok, I didn’t do great photography with this one – believe me it tastes way better than I managed to capture here! Here is a better pic added after I warmed it up for myself (in separate containers) and added some chicken for protein. Place whole basil leaves and finely chopped garlic into a mortar with some of the oil and use pestle to grind up… add shredded cheese and continue till a fine mash adding oil if it gets too thick. Pour cream into sauce pan and heat to reduce. BE CAREFUL not to burn (mine almost boiled over). Add stuff from mortar to hot cream and let cook a tiny bit until the garlic is fragrant. And Voila! The cream sauce is done! Remove from heat. 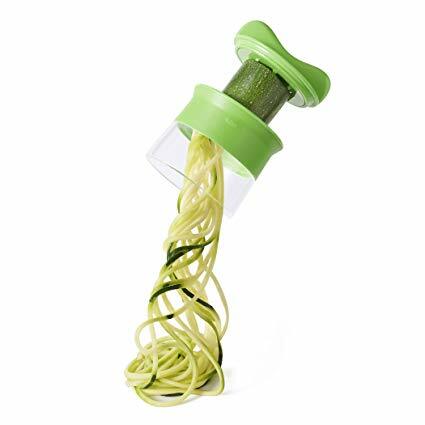 Now (or before) spiralize the zuchinni and add to a saucepan or pot with a bit of olive oil and saute a minute or too – not too long as these are better a bit crisp. Combine and toss together and enjoy! Hope you like this one – I loved it!